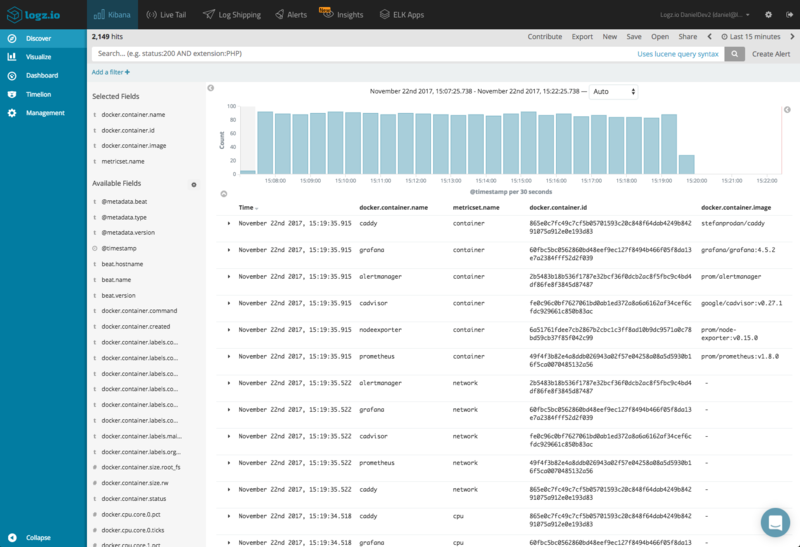 There are an increasing amount of tools and methods for monitoring Docker deployments. These solutions range from command line utilities (docker-stats), to open source stacks (Elastic Stack, Prometheus), to commercial tools (Datadog, Sysdig). What tool you eventually choose depends, of course, on a number of different variables — how easy the implementation is, whether or not it is open source and if not–how much it costs, what metrics are exposed, and so forth. In this article, I will explore the ELK Stack’s Metricbeat – a lightweight shipper that can be easily deployed on your Docker hosts, and configured to collect Docker-specific metrics. You can then ship these metrics for analysis and visualization. What makes configuring the pipeline especially simple are built-in modules that will automatically collect the necessary metrics from the host. 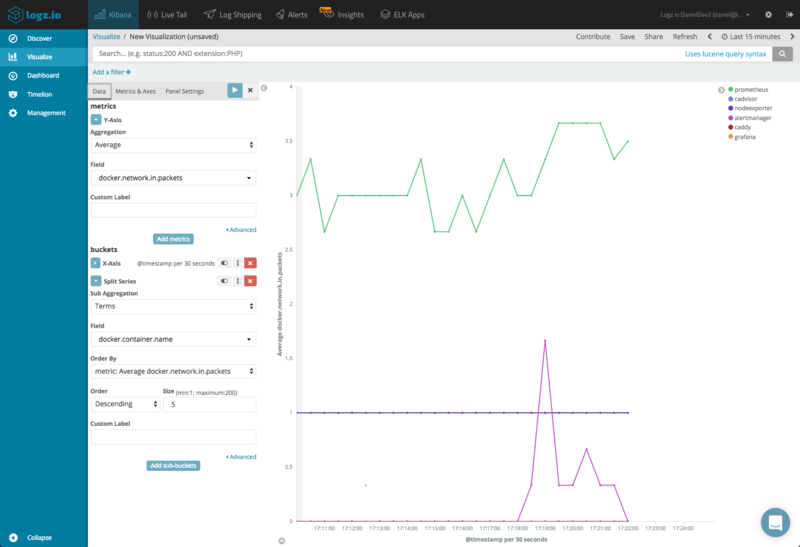 We’ll start by installing the components we’re going to use to construct the monitoring pipeline — Elasticsearch and Kibana to store and analyze the metrics, and Metricbeat to collect and forward them using the Docker module. If you already have these components installed, feel free to skip to the next step. 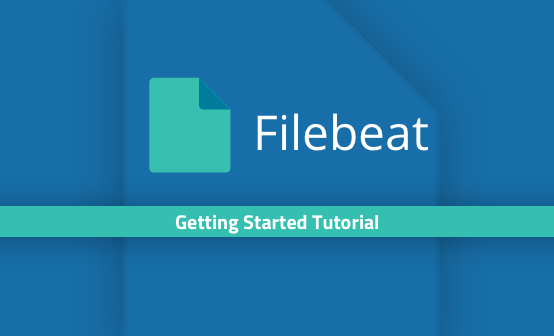 As mentioned above, Metricbeat (and Filebeat as well, but that is a topic for another article) supports a variety of different modules for collecting metrics from different services running on your server. For example, there are Metricbeat modules for Apache, nginx, Kafka, Kubernetes and more. The Docker module calls the Docker API and collects different categories of metrics called metricsets. The supported metricsets are container, cpu, diskio, healthcheck, image, info, memory and network. You can find out more about the different metrics included in these categories here. Under the metricbeat.modules section, we are specifying the Docker module and the metricsets we want to collect. We are specifying the Docker host to call and the frequency at which to ping Docker. 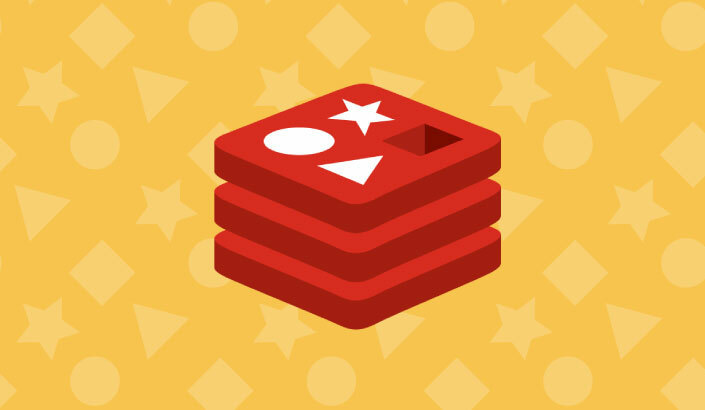 As our output, we’ve defined our local Elasticsearch instance, but of course, you could enter a remote Elasticsearch instance or another component in the pipeline (Logstash or Redis/Kafka). After a short while, you should be able to define the metricbeat-* index pattern in Kibana and see the actual metrics in the Discover tab. With a few easy tweaks to the configuration file, we can ship the metrics to Logz.io. First, under fields, we are adding some required fields necessary for shipping the metrics to Logz.io. 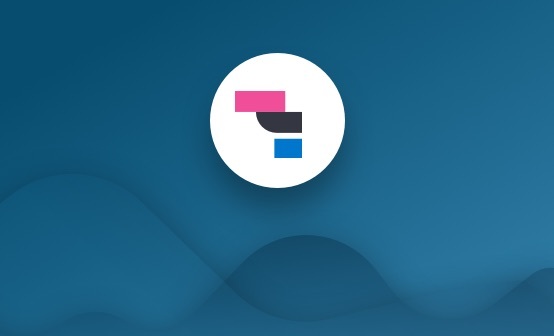 The token can be retrieved from the Setting page in the Logz.io UI. Second, as our output, we are defining the Logz.io Logstash listener as the destination and the SSL certificate to use for encryption. After a few seconds, the metrics will show up in Logz.io. There is a wealth of information made available, and it’s easy to get lost and lose perspective. I like to start out by adding some fields to the main display area. This helps us get some visibility into what container is shipping the metric, what metricset the metric belongs to, etc. It’s always a good practice to get acquainted with the different fields available for analysis in your data. A full list of the exported fields can be seen here. 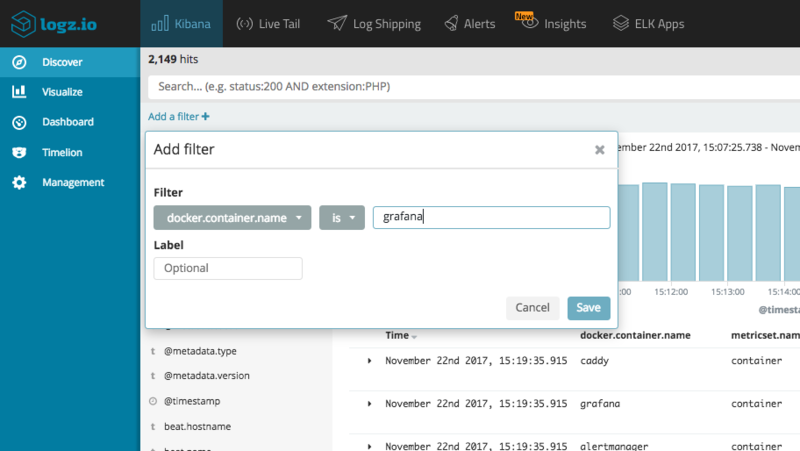 Use Kibana queries to search the data — for example, you can use the Filter option to focus on metrics for a specific container. Things start to get interesting when visualizing the data and here, the sky’s the limit. 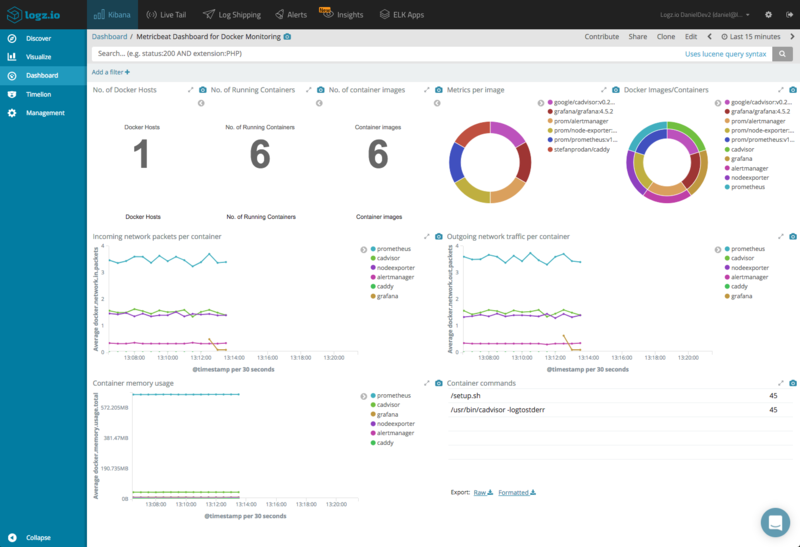 Kibana supports a multitude of different visualization types that can be used to monitor the shipped metrics. Let’s take a look at some examples. A simple example is creating some metric visualizations giving us an idea of the amount of hosts and containers that are shipping metrics. To do this, we will use a Unique Count aggregation of the ‘beat.hostname’ and ‘docker.container.name’ fields. Another example is a line chart visualization that monitors memory usage per container. To do this, we will first configure our Y-Axis to show an average of the ‘docker.memory.usage.total’ field. 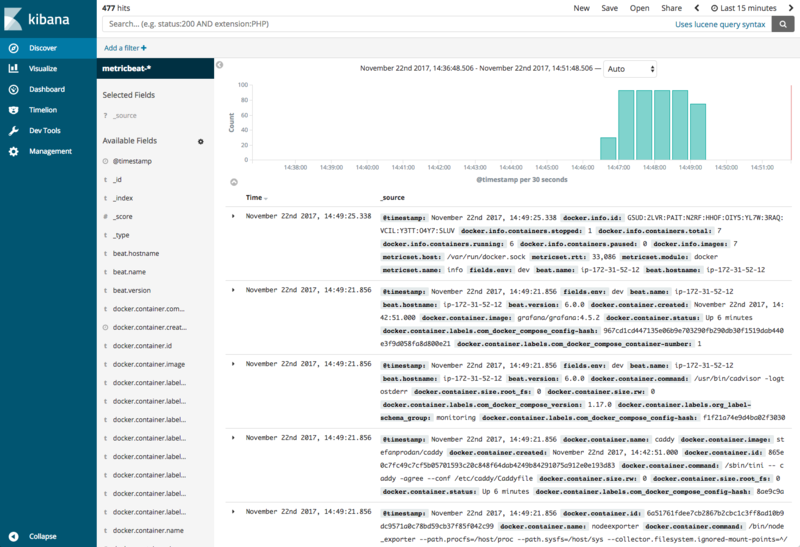 Our X-Axis consists of a data histogram and a terms aggregation of the ‘docker.container.name’ field. In a similar fashion, a line chart visualization can also give us a nice view of the incoming and outgoing packets per container. All we have to do is switch the field name in the Y-Axis configuration to ‘docker.network.in.packets’ and ‘docker.network.out.packets’. Putting all your visualizations into a dashboard gives you a nice overview of the performance of your Docker environment. If you are using Logz.io, this dashboard is available within ELK Apps — the built-in dashboard and visualization library. To install the dashboard, open ELK Apps and search for “metricbeat”. To sum things up, the combination of Metricbeat and the Elastic Stack is a very easy and cost-effective method for tapping into Docker performance metrics. Deploying is straightforward and collection of the data is all done for you. 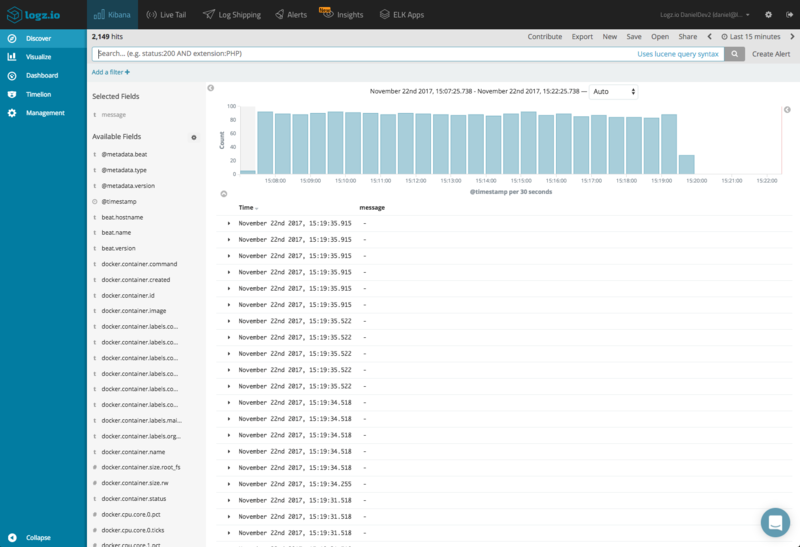 One thing to keep in mind is that there are other types of data that you will want to tap into for event correlation, such as Docker daemon events and Docker logs. Metricbeat is all about metrics, so to collect these other types of data you will need a more complete solution. The Docker log collector we created, for example, collects all three types of information so you can build a comprehensive monitoring dashboard for your Docker environment. Looking for a Scalable ELK Solution For Your Dockerized Environment?